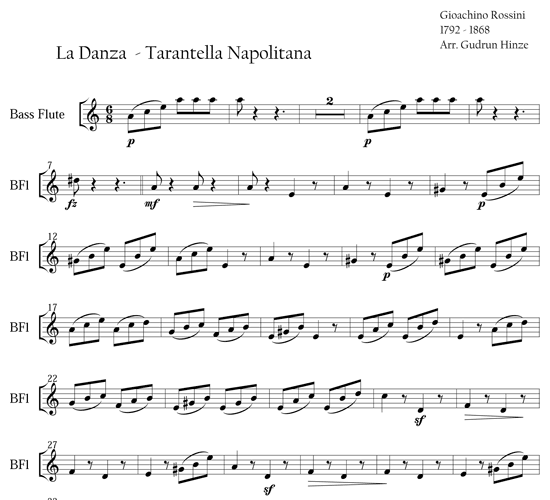 This Italian Tarantella is one of the most famous in the world. 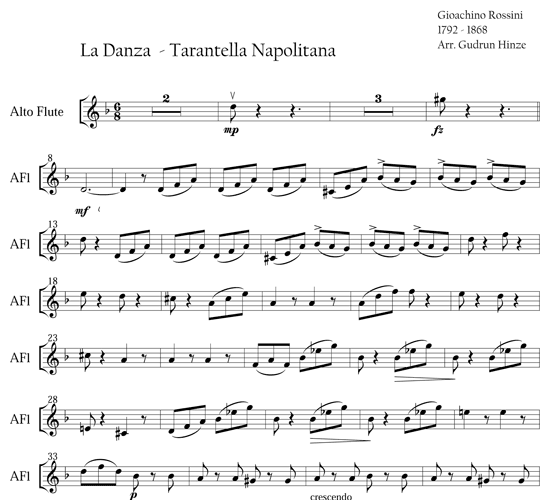 It reminds us of the ​ancient legend ​about the ​best ​remedy against the poison ​from a tarantula​'s bite as​ ​being​ to​ dance​ a wild, quick round dance: a Tarantella! 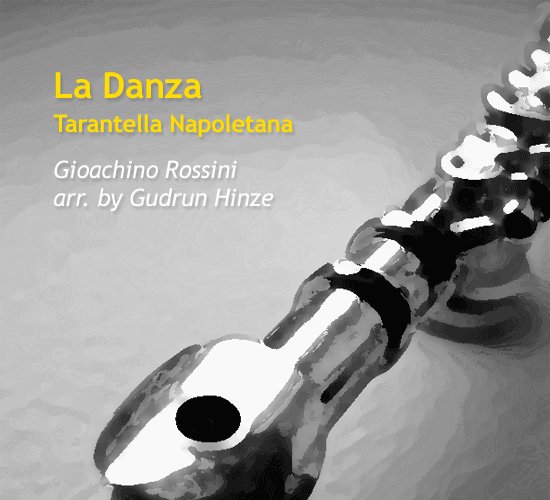 ​ If you listen to this delightful, vivid dance, you ​may be​come​ convinced of the magic healing powers of music. 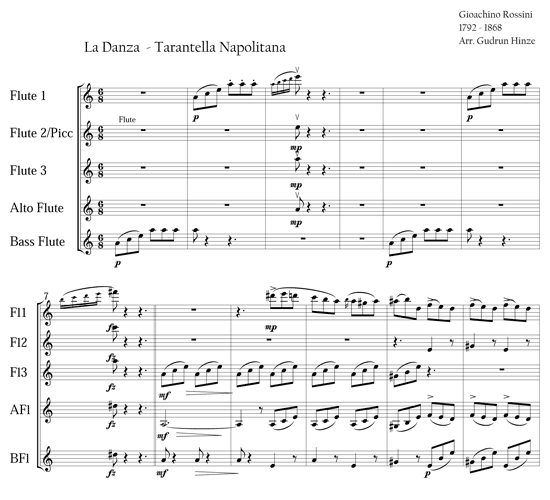 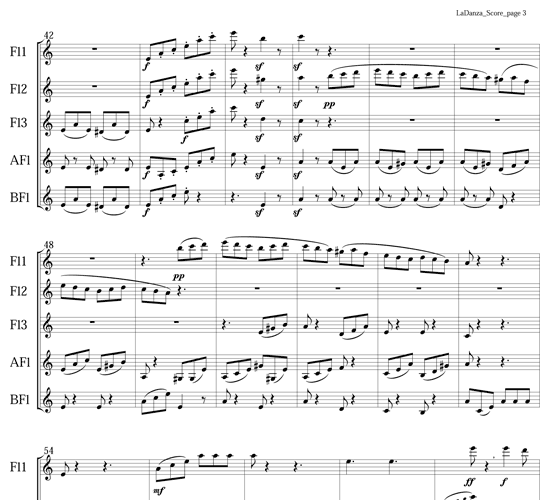 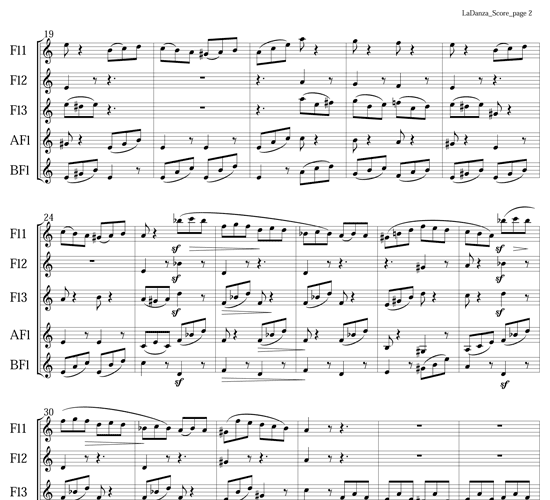 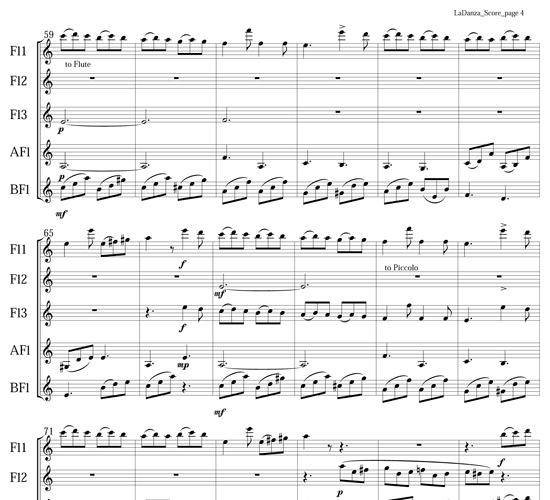 This arrangement provides a virtuoso task especially for the alto and bass flutists, and is a sheer pleasure to play​ as an ensemble​.